Will Apple start pilot Micro-LED production by the end of the year? An IDC Analyst estimates that Apple will start low-volume Micro-LED production in its plant in Taoyuan, Taiwan, by the end of 2017. Mass production will begin in 2018 with an aim to use these displays in future smart watch devices. Apple acquired Micro-LED developer LuxVue in May 2014 and has not updated on the technology since, so this is all speculation at this stage. In 2016 Oculus acquired InfiniLED, another Micro-LED startup. Sony is also developing Micro-LED displays. Micro-LED is a promising display technology as it has the potential to enable brighter and more efficient displays compared to OLEDs. It also may be cheaper, but there are still technical challenges to overcome and some companies estimate that Micro-LEDs will not be commercialized before 2020. MicroLED are indeed a very exciting technology, but there are still a lot of technical challenges to address before anybody can ramp up volume manufacturing. So, while prototypes are emerging, in my opinion, it's very unlikely that any manufacturer will be ready for any high volume consumer applications before at least 1-2 year. 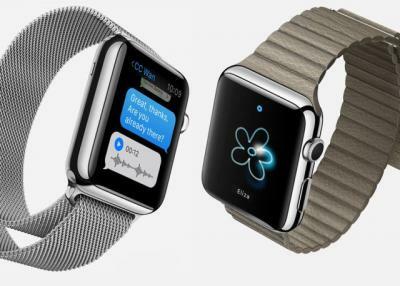 Will Apple use a Micro-LED panel in its 2017 Watch?